Preliminary research by the International Community Advisory Panel (ICAP) indicates that 63% of people considered to be expats in the Netherlands get no financial help from their employer in paying school fees and 77% of new arrivals get no help with paying for housing. In addition, over half of the 700 people who took part in the surveys earlier this year have no plans to leave the Netherlands within the next five years at least. ‘We need to redefine what we mean by “expat” because most international workers these days do not get generous housing and school deal packages from their employers,’ said ICAP chairwoman Robin Pascoe. Dutch government policy currently focuses on investing on creating additional international school places in Amsterdam and The Hague but moves are also being made to make Dutch schools more ‘international’ as well. ‘While the decision-makers at multinationals will benefit from spending on international schools, we also believe there are enormous gains to be made if the government invested properly in helping the children of new arrivals integrate into the Dutch school system,’ said Deborah Valentine, director of voluntary organisation ACCESS and a member of the ICAP board. Around half the parents in the ICAP survey send their children to Dutch schools and seven in 10 parents are happy or very happy with the quality of their children’s education. Housing is another major area of concern. 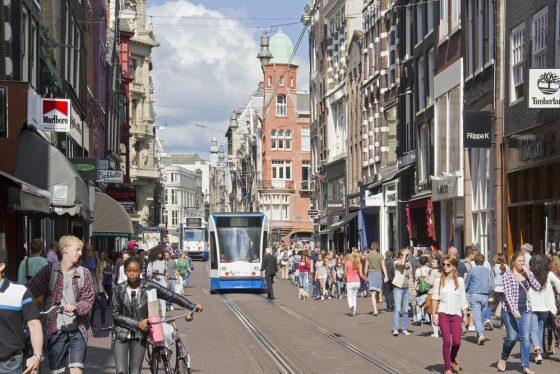 While ‘expats’ are often blamed for forcing up rents, particularly in Amsterdam, ICAP research shows 79% say they cannot afford to pay more than €1,500 a month in rent. In addition, four in 10 want to buy a place to live because it will be cheaper than renting. ICAP’s next survey will be look at healthcare and will be carried out in November. Note: DutchNews.nl editor Robin Pascoe is one of the founding members of ICAP.